The Roof Maker pitched roof window has been specifically designed for pitched roofs. From the inside, the rooflights appear frameless, with the glass flush to the edge. Perfect when aesthetics are key. 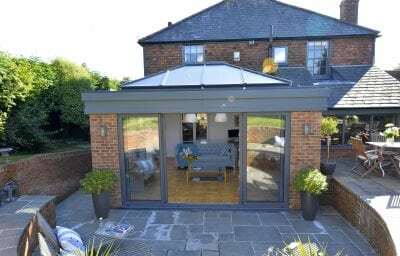 Designed for roofs with an elevation of 15 degrees to 65 degrees, the aluminium rooflight helps to transform your loft or extension into valuable extra living space. Suitable for use on either tiles or slate pitched roofs. Designed bespoke to meet your requirements, the skylight is available in sizes up to 3 metres wide, fitting any space or aperture. Options include, remote control openings with rain sensors, ensuring you don’t get rained on during the night! 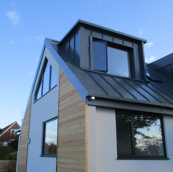 The sleek, aluminium contemporary design of the Pitched Roof Window suits properties of any age. 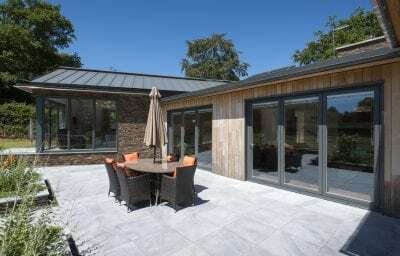 With a black external frame and white internal frame, the window produces a modern, frameless appearance, providing nearly 50% more light than a traditional skylight. 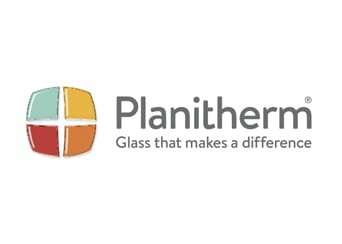 With the Pitched Roof Window, low-maintenance, triple-glazed, self-cleaning glass comes as standard, with U-values as low as 0.7 w/m2k. The aluminium frames are coated with marine-grade powder coating, offering excellent durability and weatherproofing in harsh coastal environments. 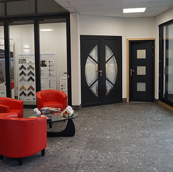 Book a showroom appointment with one of our aluminium rooflight experts, who will work with you to design your perfect rooflight to meet your exact requirements. To request a no obligation quote, please complete our short form and a member of the team will be in touch. 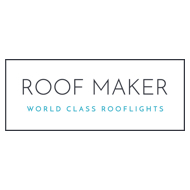 To find out more about Roof Maker products download the latest brochure here. Internally the rooflight appears frameless. 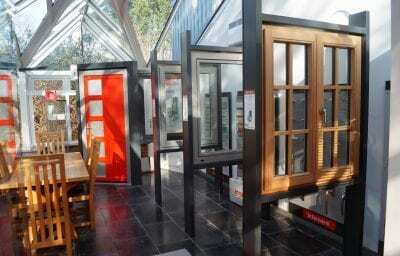 Manufactured to your exact requirements, ensuring the perfect fit, every time. Protected by marine-grade powder coating, providing excellent durability and weatherproofing.